Treat your body and your mind to treatments to relax, rejuvenate and de-stress with our range of body treatments. A specialised massage technique which uses slow, rhythmical circular and pumping movements to gently move the skin over the underlying tissues. The muscles of the lymphatic system are stimulated which aids the removal of waste and excess fluid from tissues This extremely relaxing holistic treatment helps a variety of issues relating to the immune system, from cellulite to chronic pain. 45min. Banish tight muscles with this deeply therapeutic massage. Powerful, deep and strongly rhythmic movements make this customised massage pure therapy for body and soul. Created to alleviate stress deep down and release the discomfort of aching muscles (whether through fatigue or stress), 100% natural, Decléor Essential Oil Balms actively work with your body to release localised areas of intense tension. Leaves your mind feeling less cluttered and muscles intensely relaxed. 30 min / 60 min. Divine heated stones relax away muscle tension and strains. This all encompassing treatment commences with a full body brushing and exfoliation, followed by a deep body face and scalp massage using essential oils chosen to suit the individual. 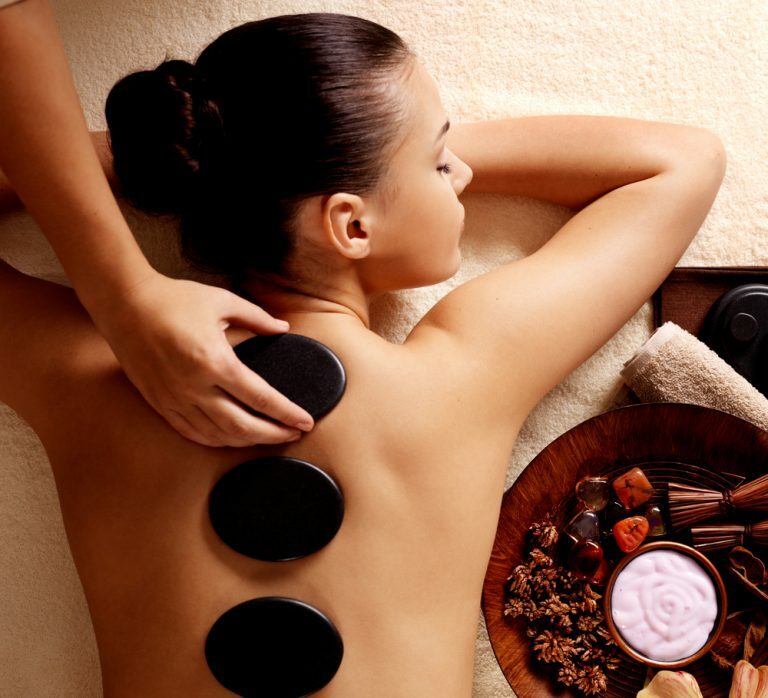 Deliciously warm basalt stones melt away tension, ease muscle stiffness and increases circulation and metabolism to deliver a unique therapy through a carefully delivered massage technique. It is a totally amazing experience. 65min. Heavenly full body Aromatherapy treatments. Everyday stresses and strains simply disappear with our heavenly Aromatherapy Massage to either relax, detoxify, tone or stimulate. The incredibly soothing sensation of the Warm Aromatherapy Balms, expertly blended from an exquisite elixir of natural essential oils, melt away tension and ease stress for renewed energy and velvety skin. 60 min / 90 min.